Preparing for a new school year is challenging, even for veteran homeschoolers. There are many things that you may want to do now during the summer, such as reviewing the past year, evaluating your curriculum needs, preparing a game plan, creating a budget, and developing a schedule. The upcoming homeschool year will be here before you know it. As you are aware, being a parent and teacher is tough enough, so to eliminate the extra work and stress, start planning ahead. Both you and your children will benefit from your forethought. What areas did you and your children thrive? What areas did you and your children struggle with? How would you change things up? Would you change your schedule, classroom setting, or curriculum? If you are homeschooling more than one child, do this exercise for each child. As you review the year, take into consideration each child’s strengths and weaknesses, what their learning styles are and if those styles changed at all as the year progressed. If your child attended public school, review all the successes and challenges that occurred during the school year. If you have any notes, evaluations, or any other information that the school provided, review it carefully. As your child matures, their educational needs change. Many children enjoy learning on their own and at their own pace as they grow older. They also enjoy a more interactive educational atmosphere. That’s why so many parents have been using online learning tools. Other parents supplement online tools with their traditional educational methods. However your child prefers to learn, it’s important that you review your curriculum and make sure it matches their needs and learning styles. It’s also important that you find products that make your job easier. 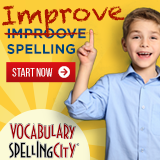 For example, the best online tools provide access to resources such as printable lesson plans, homeschool teaching tools, detailed reporting, activity scheduling and parental support through forums where parents share ideas and solve problems together. Remember, no one curriculum method is perfect. And what works for other homeschoolers may not work for you. That’s okay. Homeschooling is a process and things change over time just like your child changes as they grow older. So, carefully evaluate what you’ve been using and pick out the pros and cons. Here is a handy dandy curriculum comparison checklist that can help you make an informed decision about your current and next curricula provider! Separate wants from needs. You need reliable transportation, but you want a shiny new car. 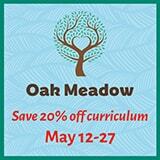 Some homeschooling curricula can get expensive. Shop around, find what suits your children the best and doesn’t cross your financial boundaries, and make a decision. Depending on the prep time that your curriculum choices require, you should develop a schedule that not only suits it, but also maximizes your children’s strengths. For example, many children prefer getting their core subjects finished in the morning — or at least the majority of them — when they’re alert. Use the afternoon for completing other subjects and perhaps lab work and any other projects you’re working on. Don’t forget that each day should include some fun activities such as music, sports, hiking, crafts, baking, or any other things your children enjoy. You may never find the ideal schedule, but once you find one that’s practical and meets your families needs, you win. 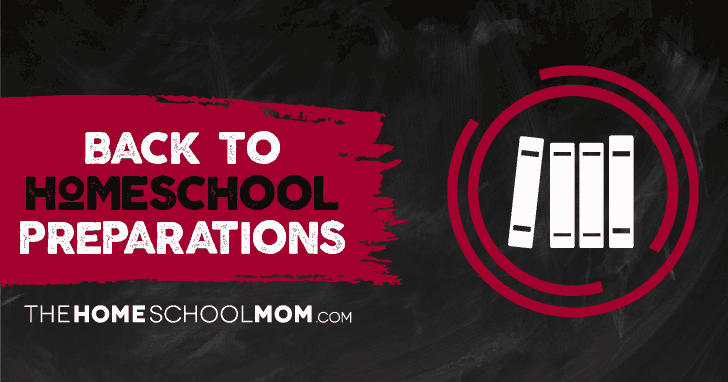 Back to school preparation is just as important as anything you do during the school year. It sets the tone and could be the difference between hitting the road running or stalling at the starting gate. As Virginia, a homeschooling mom of three children says, “Once I have my preparations complete, I feel so much more confident and ready for the school year. Without those preparations, I would be lost.” So, start preparing now and hit the road running!